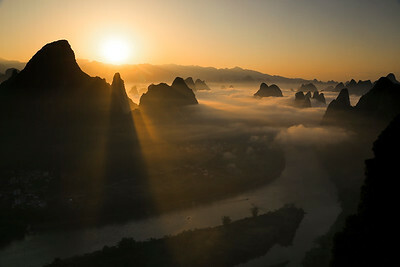 Guilin sunrise photos are taken and selected from the remarkable places in Guilin,Yangshuo,Li river and Longji rice terraces,You can appreciate the natural wonders at the sunrise moment in Guilin area by viewing these outstanding photographs. 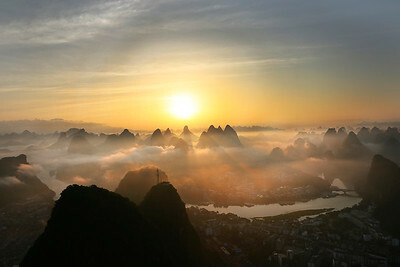 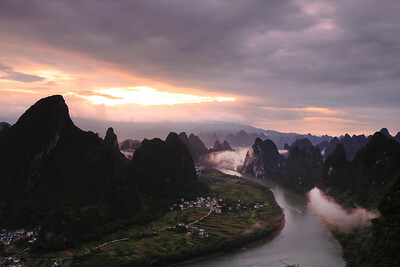 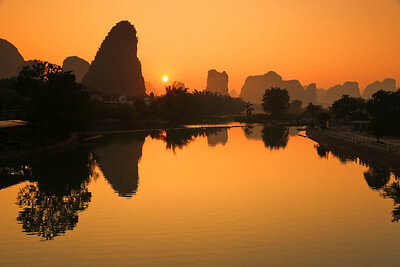 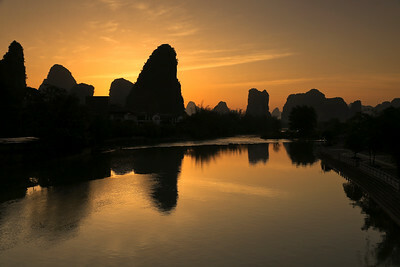 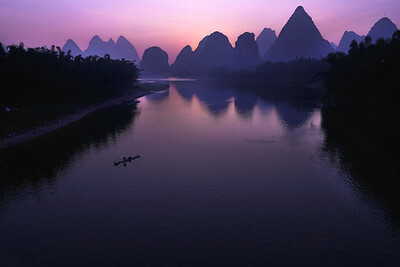 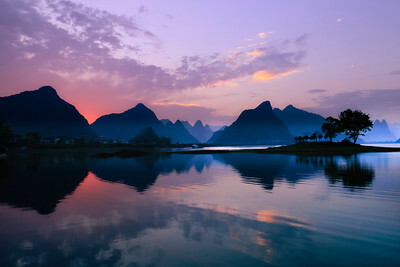 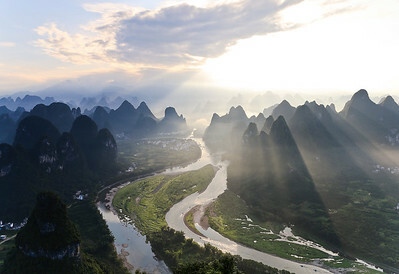 Sunrise raise from Li river and Karst peaks at Yangshuo town,Photo taken from Yangshuo TV tower in the early morning! 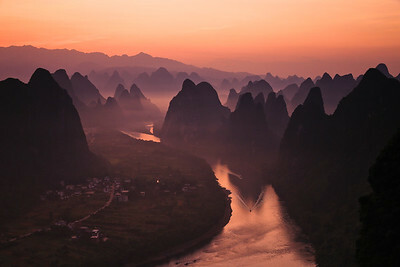 Tranquil Li river scenery in the early morning, photo taken from Yangshuo bridge which just 2km outside from Yangshuo downtown. 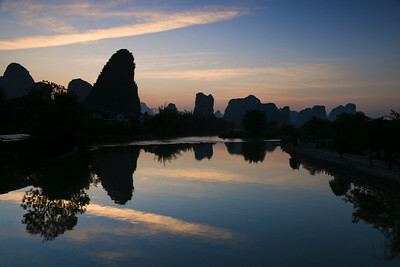 Overlook Yulong river scenery sunrise from Gongnong bridge,mirror-like river and reflection of Karst peaks. 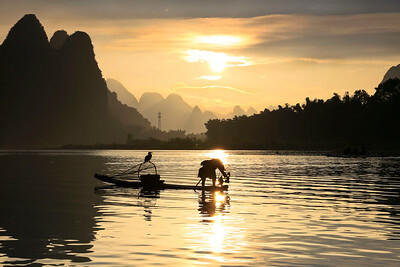 Sunrise raise from Yulong river,featured bamboo boat and vivid bamboo groves. 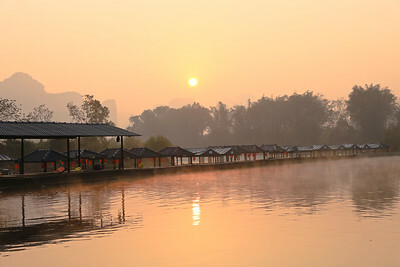 early morning scenery of Golden chicken reservoir,peaceful lake,standing water,attractive hill,sisolated island and their calm reflection. 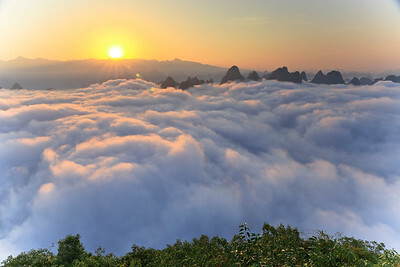 sea clouds surround the dramatic sea clouds which overlook from Damian hill at sunrise in the early morning. 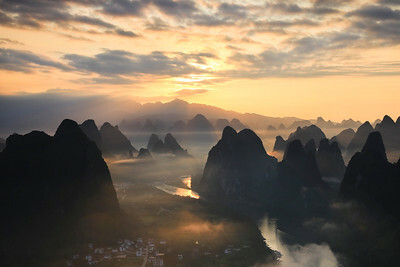 light mist and Karst peaks surround Li river in the early morning! 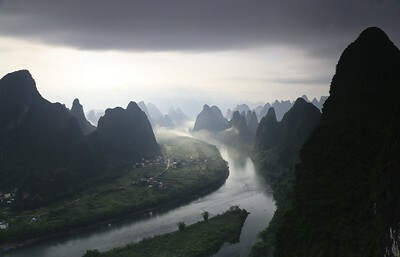 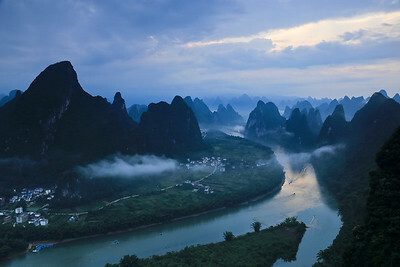 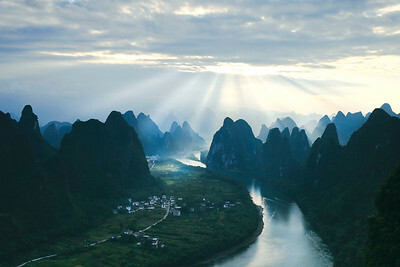 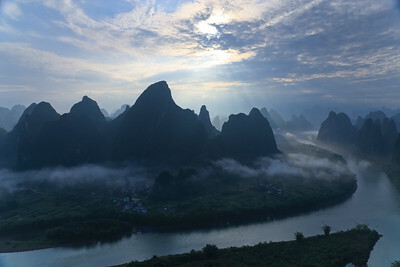 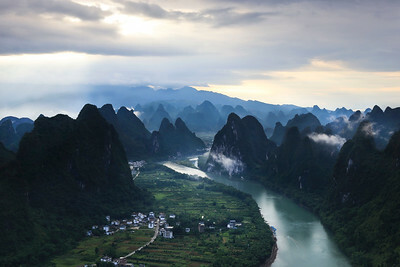 Moody sky,light mist and dramatic Karst peaks surround Li river valley in the early morning!